Nestled on the edge of the southeastern forests of Ark is the Halloween Fair, which comes to life in October and is filled with fun spooky activities. Participate in events around the Fair to earn Seeds (and feed creatures too!) and then spend Seeds to get prizes. 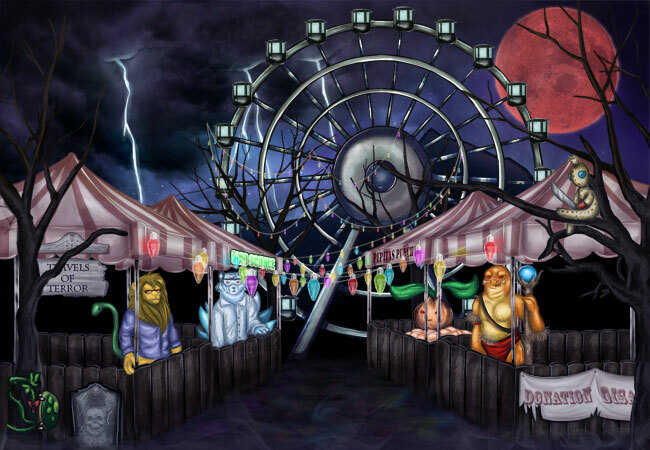 The Halloween Fair is currently closed. It's open in the month of October only.